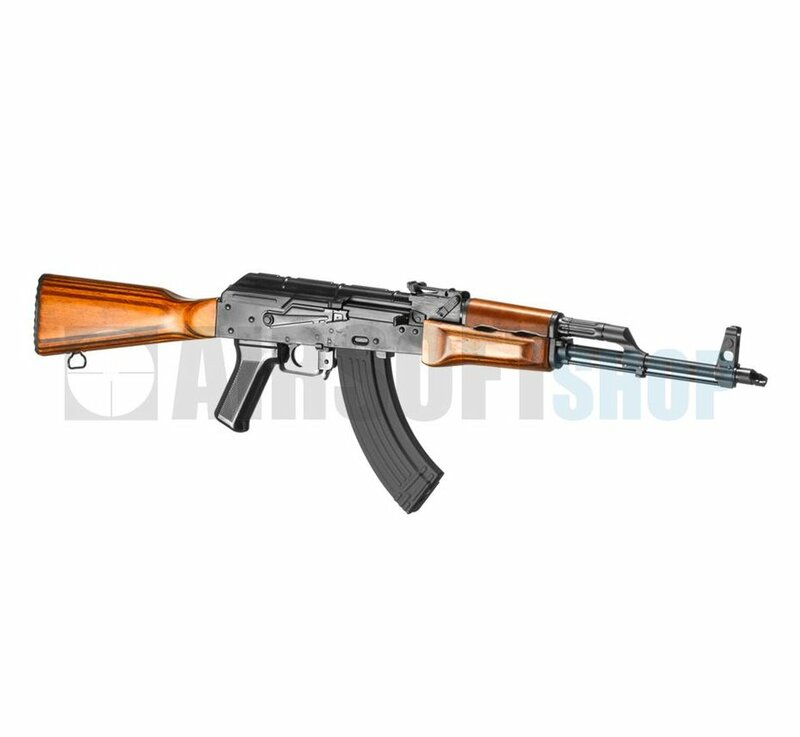 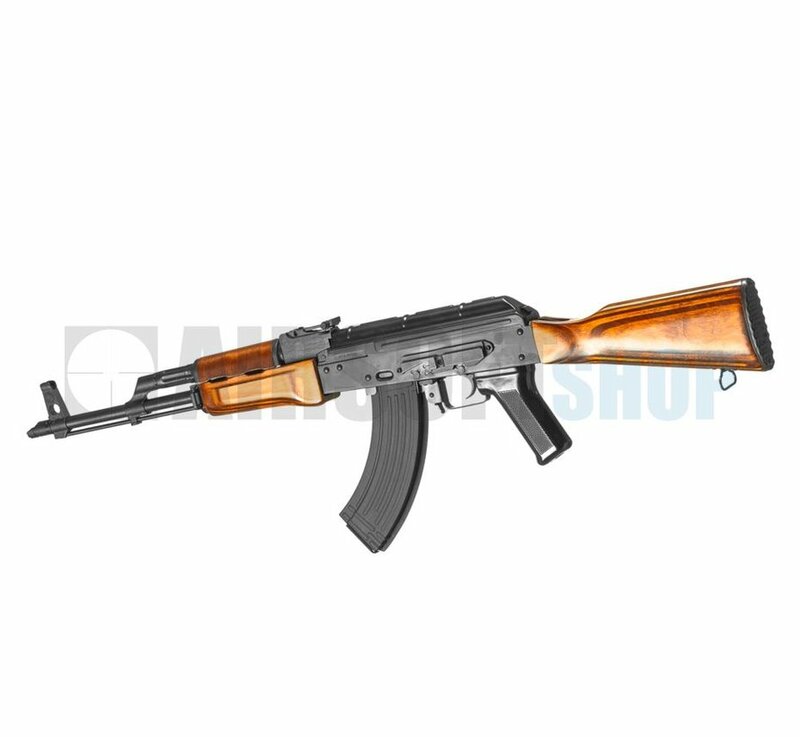 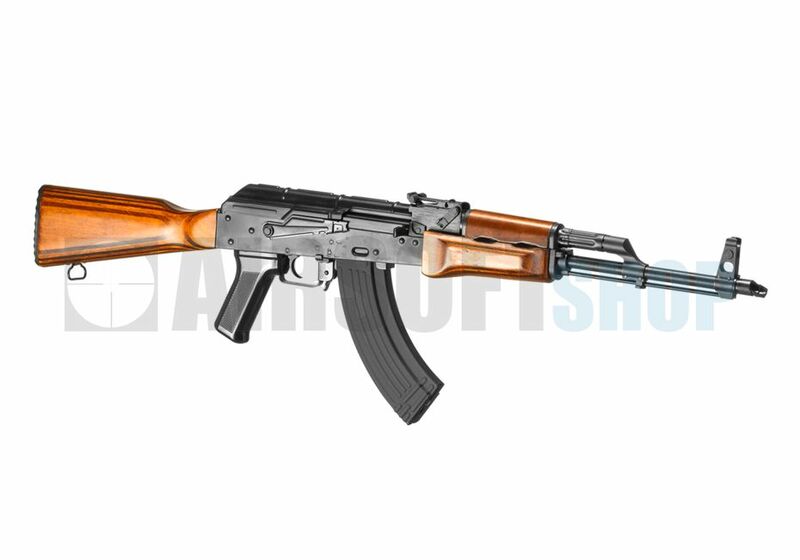 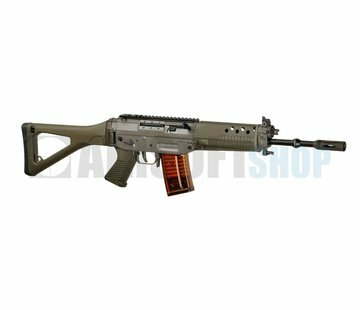 The GKM is based on the classic designs of the AK series of assault rifles. 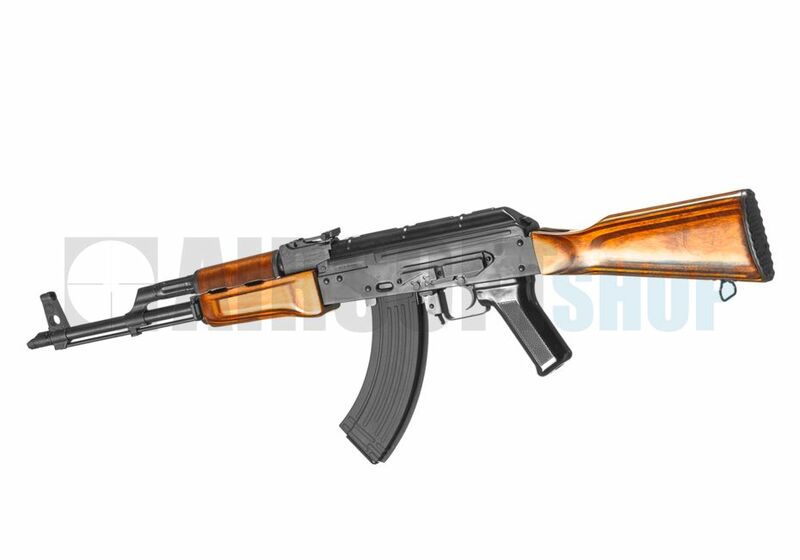 The GKM features a full metal construction, as well as real wood handguards and a full wooden stock, with the only plastic part being the magazine and pistol grip. 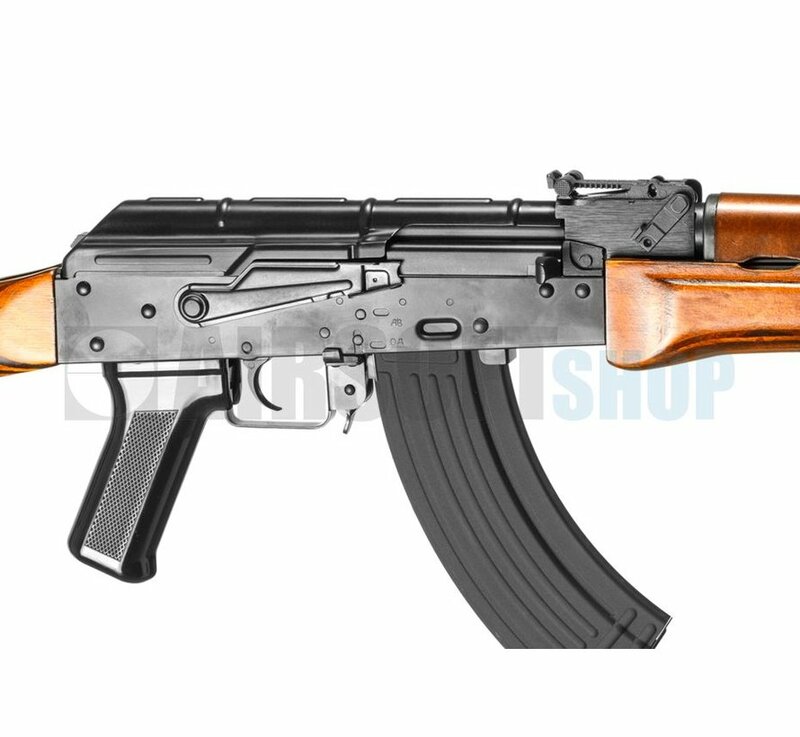 Uniquely, the GKM has 11.1v Lipo batteries integrated in to the handguard for very easy battery use and storage. 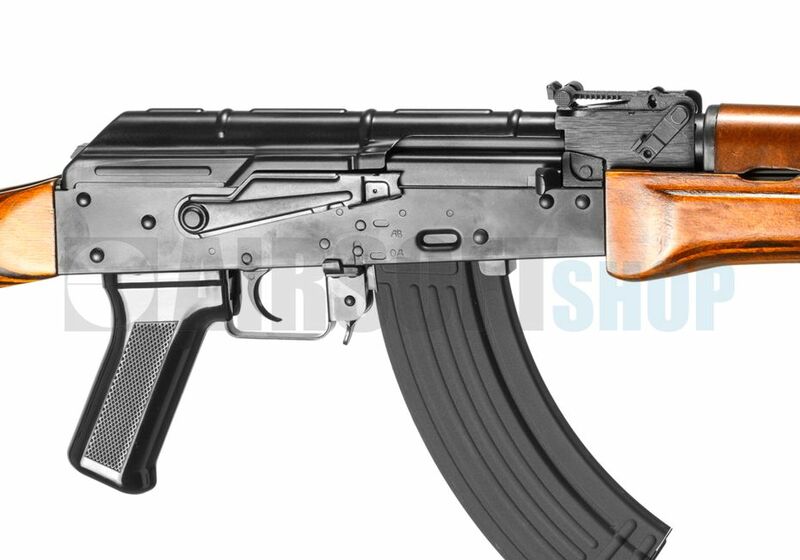 Further, to show that G&G has the player in mind, they include a second battery hand guard in the pistol grip. 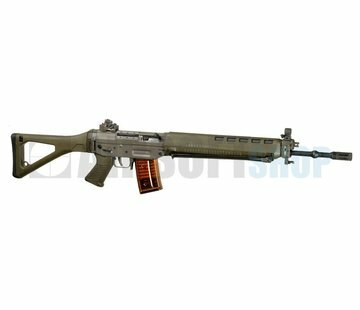 The G&G GKM is a perfect replica externally, and internally features G&G's "Top Tech" gearbox for astounding performance and reliability with reinforced gears, piston and piston head, along with durable 8mm bushings keep the rifle running at peak performance for a long time.